The Delaware Association of Nurse Anesthetists welcomes you! The American Association of Nurse Anesthetists represents more than 49,000 Certified Registered Nurse Anesthetists (CRNAs) and student registered nurse anesthetists. The Delaware Association of Nurse Anesthetists (DANA) was formed March 12th, 1953 and is a member organization of the national American Association of Nurse Anesthetists (AANA). Our membership is comprised of nurse anesthetists who work in hospitals, surgery centers and office-based practices throughout Delaware and the surrounding area. The DANA strives to assure the highest standard of anesthesia care for our patients while promoting the professional well-being and interests of its members. The DANA Triple Threat is a program that acknowledges the generous contributions of DANA members. For approximately 3-4 hours of your salary, you can be a DANA Triple Threat. Each DANA member that contributes a minimum of $75.00 each to the DANA-PAC, CRNA-PAC, and the AANA Foundation (for a total contribution of $225.00) will receive this status. 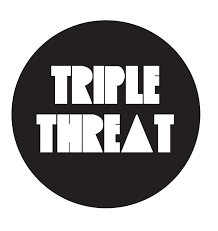 Of course, the minimum of $75.00 to each cause is a suggestion, however, it must be $75.00 or more to each cause to receive the DANA Triple Threat status. Click here to download the Triple Threat donation instructions. Life Moves Fast – Ensure You’re Receiving the Latest Information First. Decisions that affect your career and profession can happen in seconds. Your association wants to provide you with the latest updates to your phone via text messaging. It is our belief that effective and up-to-date communication provides value for your investment in DANA. Our text message program will be used in addition to the more traditional means of communication that DANA already has in place. Watch for more information in 2019!